Richard and Drew get together for a podcast where we talk about the 1986 OAV, California Crisis. California Crisis is a bit like Please Save My Earth in that in this episode, Drew couldn’t stand to go looking for screen shots or an audio clip. Richard and Drew just get right into it. 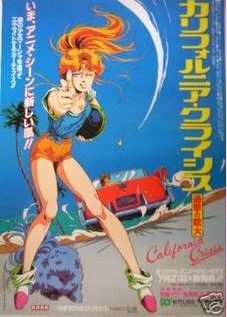 In fact, this image was taken from the site Anime Classic Reviews, run by a really awesome fan, “Area88”. Be sure to check out the site and what treasures lie there – we guarantee you’ll see future reviews coming from that treasure trove of titles! Download this episode, you geek! Not only did Drew take an inordinate amount of time to edit the episode, Space Battleship Yamato was a series that the Akihabara Renditions crew had been meaning to do since the inception of the podcast. Well, we finally got to it. Hosts: Drew Sutton, Richard Hoelsher and Marc Smazik. In this episode of Akihabara Renditions, Drew, Marc and Richard sit down and discuss a couple of OAVs based on the anime Jojo’s Bizarre Adventure. After our latest hiatus, the crew from AkibaRen returns with another fantastic podcast! On this episode, we tackle a review for a trilogy of films that are condensed from a longer TV series and manga. This episode was recorded earlier this year and Drew’s only just now gotten around to editing it. With the news over the weekend about the passing of Carl Macek, we decided to get together for a quick bonus episode to discuss the most impacting death in the US anime industry. Carl Macek has fundamentally shaped the industry as we know it. Our first podcast of 2010 is finally available three months into the year! As we begin 2010, we start out a new method of selecting what gets reviewed on a more permanent basis – the Rotation Schedule! Up for this review, we let Marc take us down to another favorite of his, one of the reasons he heavily got into anime and Drew takes the opportunity to take off nostalgia glasses and gets to rip into someone for something they love more for nostalgia than any real quality of the product. As expected, Richard always has and always will hate this show. 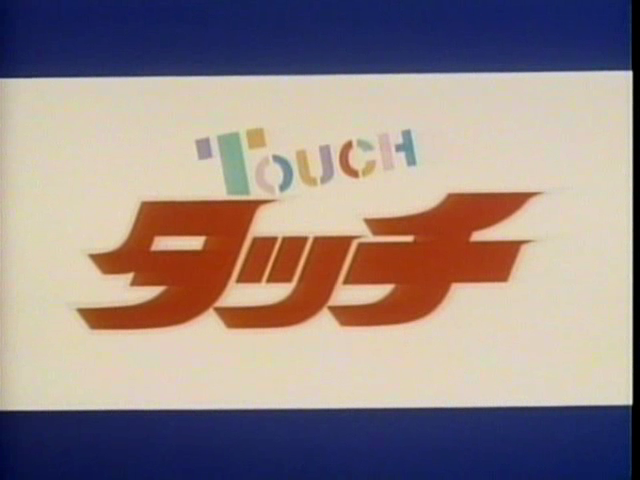 This episode, we’re talking about Tenchi Muyo! Ryo-oh-ki OAV 1. Perhaps our longest production episode to date! We began scrounging up titles in early December and our previous attempt to actually, you know, meet a Christmas deadlines were foiled in that we simply did not feel our selections were crappy enough. That’s the sort of quality that Akihabara Renditions has become known for – we’ll delay something until it’s way out of season in order to deliver a better product. So, behold the majesty that is our Third Annual Christmas Craptacular! Download it you geek!